Jean Beausejour: It was in the 2010 World Cup in South Africa where the Chile international impressed former Blues’ boss Alex McLeish enough to bring the left winger to St. Andrews for £3 million. The side managed to progress from the group stage with Spain, but were well beaten by Brazil in the second round. While at Birmingham, Beausejour was part of the side that won the Carling Cup and were relegated as well taking part in the Europa League in 2011. After playing over 50 times for the club, the winger joined Wigan Athletic in January 2012. In Group B with Chile is Spain, Australia and the Netherlands so Beausejour’s side will have to be at their best to reach the knockout phase. 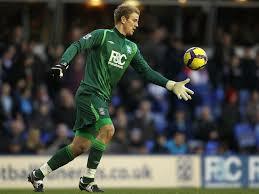 Joe Hart: Since spending a season on loan with Birmingham in 2009/10, Joe Hart’s career has gone from strength to strength. After being the third choice ‘keeper in South Africa following a great time at St. Andrews, Hart has now firmly secured his place as England’s no.1 and will be crucial to the country’s chances of a successful tournament. The 27-year-old has gone on to play almost 200 times for Manchester City since leaving Blues and picked up two Premier League titles along the way. It will be difficult for England to progress to the second round with Italy and Uruguay in their group, but if Hart performs like he did during that loan spell, they stand a good chance. Ben Foster: At the end of his time at Blues in May 2012, Ben Foster probably didn’t expect to be England’s second choice goalkeeper heading going into the 2014 World Cup. After retiring from international football three years ago to concentrate on his club career, Foster decided to make himself available in February last year. Foster signed for Birmingham in 2010 from Manchester United and was man of the match when the side beat Arsenal in the Carling Cup Final, becoming the only player to win the award twice. Following relegation to the Championship, the ‘keeper moved to West Brom on loan before eventually signing permanently for the Baggies a year later. If anything happens to Joe Hart over the tournament, I’m sure Ben Foster will not be a bad replacement. 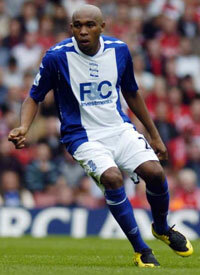 Wilson Palacios: Even though most football fans wouldn’t associate the midfielder with Birmingham City, Palacios was on loan at St. Andrews at the start of the 2007/08 season. The Honduran was recommended to Steve Bruce by Arsene Wenger and signed on a six month loan deal, playing seven times for the club. Following Bruce’s move to Wigan Athletic and Palacios’ loan expiring, the midfielder joined the Latics and has gone on to play for Tottenham Hotspur and current club Stoke City. They might be considered minnows in the tournament, but Honduras will be looking to cause an upset against France, Switzerland and Ecuador in Group E.
Carlos Costly: After watching Carlos Costly during his loan spell at Blues in 2009, it might surprise you to hear the Honduran is the fourth highest scorer for Los Catrachos. In his three starts and five appearances from the bench for Alex McLeish’s side, Costly was unable to score for the club and even the rest of the team scored just one goal while he was on the pitch. The most memorable part of the “striker’s” time at the club were the cheers every time he performed his drag-back and accelerate skill move to try and fool the defender, known as the “Costlynha” over in his home nation. Johan Djourou: In the same group as the Hondurans are Switzerland, who have included former Blues loanee Johan Djourou in their squad. 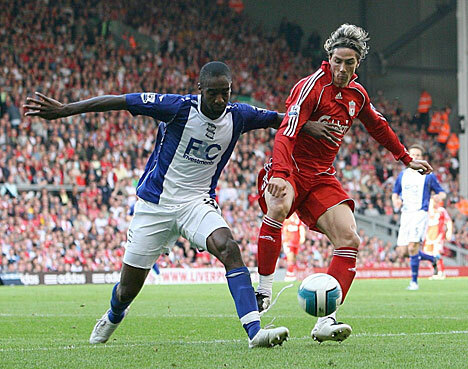 The defender spent five months at B9 on loan from Arsenal making thirteen appearances for Birmingham during his time with the club. Since leaving Blues, Djourou has gone on to play for German sides Hannover (on loan) and his current club Hamburg after leaving North London last season. His most memorable moment in the royal blue shirt was at the Reebok Stadium when his short throw-in handed Nicolas Anelka an easy goal for Bolton in his final game. The 27-year-old will be hoping the Swiss side can progress though the group at this World Cup.